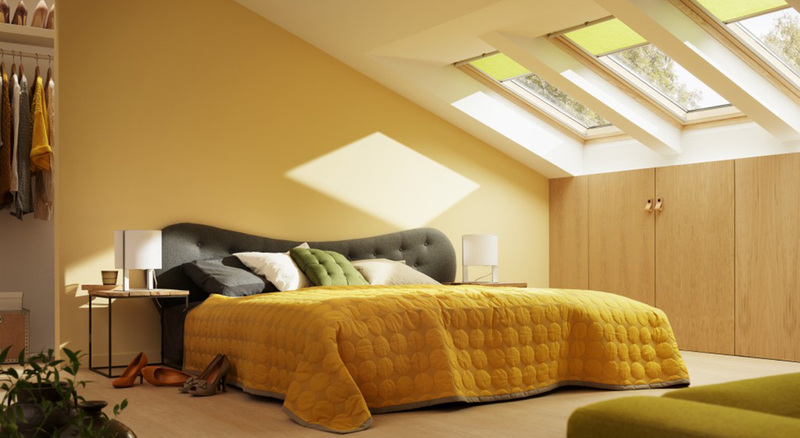 Scroll down to view a selection of Bedrooms transformed by VELUX Roof Windows. This Bedroom’s steep roof pitch is complemented by a group of four large VELUX Roof Windows, which now provide a fantastic panoramic view. 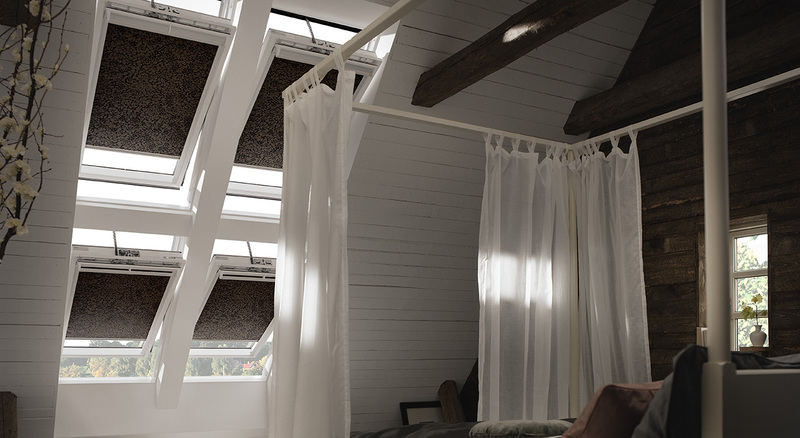 All of the VELUX Windows have blackout blinds installed to ensure a good night’s sleep. 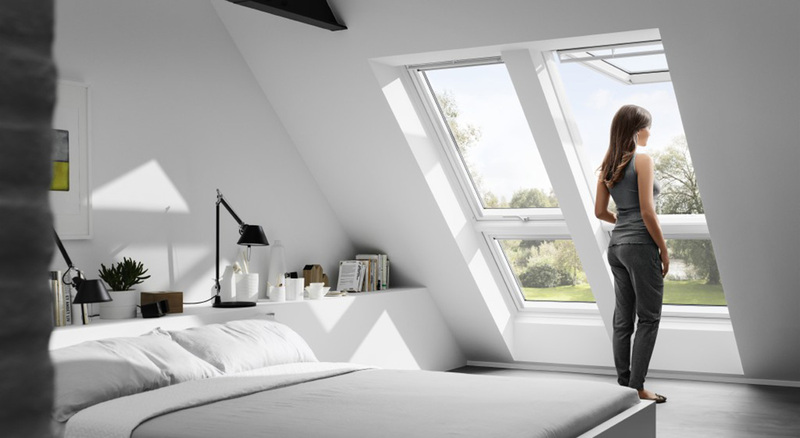 As they are out of reach, the two top VELUX INTEGRA® Roof Windows can be operated with a touchscreen control pad. Thanks to a group of VELUX Roof Windows, this upper storey Bedroom now floods with natural daylight. 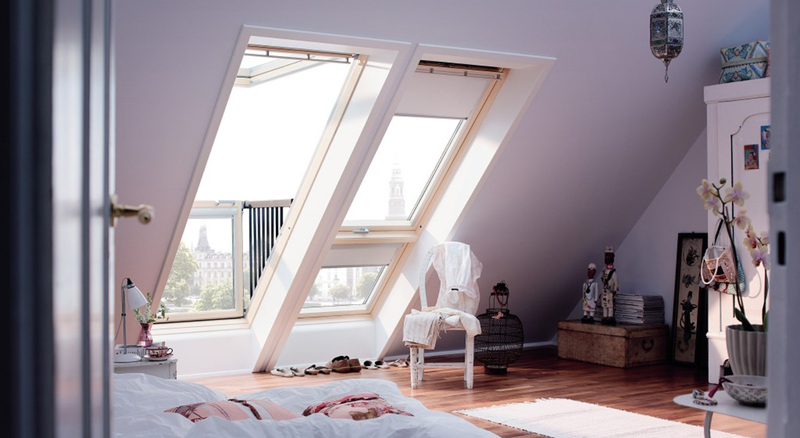 The convenient top operation of a standard VELUX Window makes them easy to open – even when the bed is right next to them. 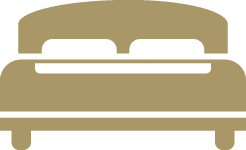 The white polyurethane sash adds a clean, modern look to the room. 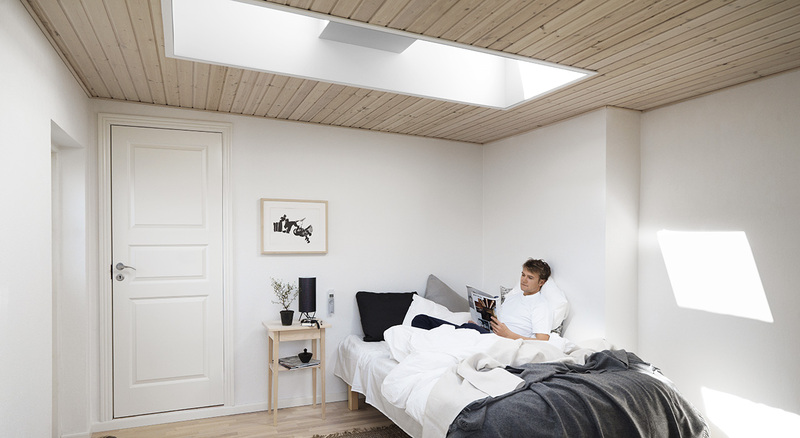 In this example, two VELUX Flat Roof Windows add a new dimension to the Bedroom space, bringing in additional natural daylight and brightening up the entire room. 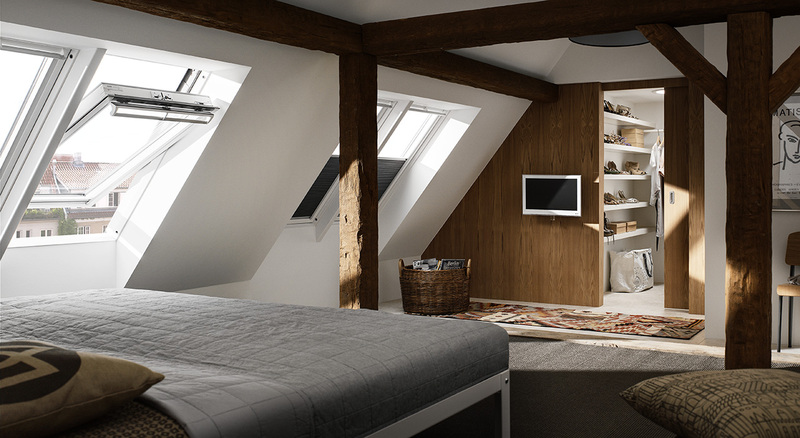 This Bedroom example features a unique combination of the innovative VELUX CABRIO® Balcony on one side and a combination of a VELUX Top-Hung Roof Window with a fixed window element below on the other side. 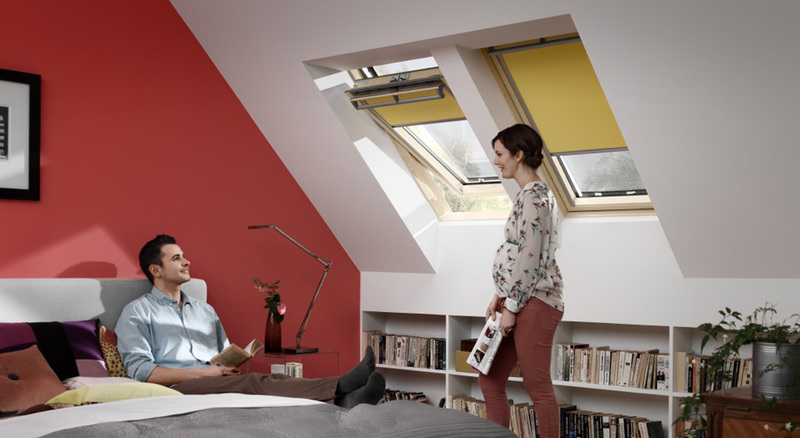 In just seconds, the VELUX CABRIO® turns a Roof Window into an instant Balcony. In this Bedroom with high knee walls, three Centre-Pivot VELUX Roof Windows with clear lacquer finish bring daylight into the bedroom. If darkness is needed in the daytime, external roller shutters provide 100% blackout. Lower the internal roller blinds to soften incoming daylight and achieve basic privacy. Two Centre-Pivot VELUX Roof Windows with clear lacquer finish provide incident light and a view to the trees. To prevent passive heating in the room, the windows are fitted with awning blinds that reduce passive heating by up to 90%, while the transparent net fabric lets light into the room and preserves your view. On the inside, VELUX Blackout Blinds are installed for 100% blackout during the day. In this Bedroom example two VELUX Top-Hung Roof Windows have been installed, providing a fantastic panoramic view. Below the Top-Hung Roof Windows, fixed window elements have been installed, providing a great view to the garden – and even more daylight.